Hirschman and Rothschild’s (Q J Econ 87(4):544–566, 1973) tunnel effect refers to the propensity for individuals to be pleased by the success of others if they believe this signals an improvement in their own prospects. According to the current literature, tunnel effects may offset the utility losses from increases in peer income levels and income inequality. I develop a simple model of tunnel effects to evaluate these two channels of influence. 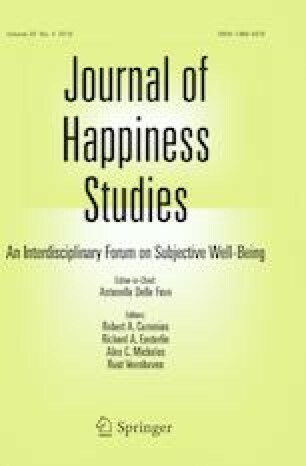 The analysis confirms that tunnel effects create a positive link between happiness and economic growth. In contrast, rising income inequality generates a tunnel effect that increases the happiness of the rich but decreases happiness among the poor. The analysis confirms Hirschman and Rothschild’s informal analysis indicating that that tunnel effects may increase the happiness of the poor in the case of uneven development that involves both growth and rising income inequality. The model also highlights the differential impact of tunnel effects across age and income groups within the population. I close by discussing the model’s implications for empirical investigations of tunnel effects. I am grateful for the support of Faculty Resource Network at New York University, where I was a Scholar-in-Residence during initial work on this paper and to Ran Wang for excellent research assistance. I also wish to thank Claudia Senik, Stephen Wu and participants at the Southern Economic Association Meetings for the insightful comments on earlier versions of this paper. Any remaining errors are my own.